There’s really nothing more perfect than a beautiful sunset, greenery all around mixed with the sound of kids laughing and playing even if it’s on the road. 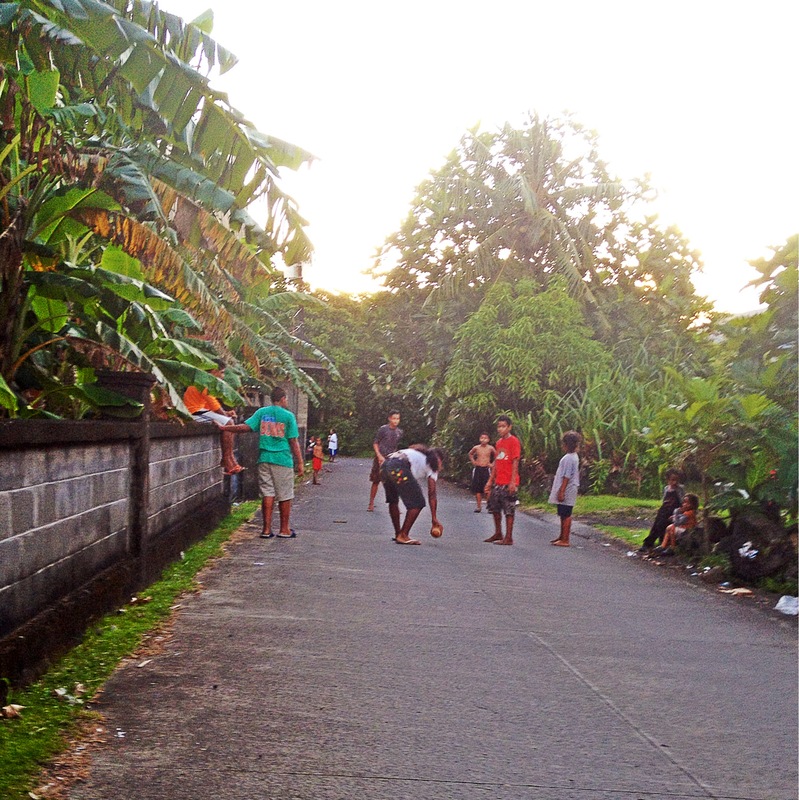 You’ll find this all over American Samoa. These kids sometimes play football, rugby, cricket and whatever games they can come up with using whatever is around them. I remember growing up on these streets. It wasn’t cemented until I was in the sixth or seventh grade. My brothers, cousins, other village kids and I would either race wheelbarrows, bikes or tires down the rocky slope farther down the road. Sometimes we would race by foot from where my house is to the front of the road and back. When it rained, we would play in the puddles and make mud slides. I experienced many skinned knees, scratched-up hands and “eating dirt” moments but the fun we had was worth it. I’m sure it’s frustrating for drivers who constantly have to drive slow or beep at these kids who really have no where else to play except the streets sometimes. When you really take a step back and soak in the joy and innocence you see in these kids, you really can’t help but smile and appreciate the beauty and joy in that very moment.